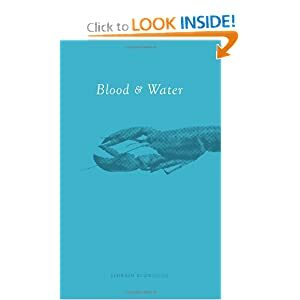 Blood and Water chronicles the life of an American lobster-fisherman haunted by his father’s ghost. Henry Michael Fischer wanted nothing more than to be like his forefathers; become a lobster-fisherman, get married and have a son of his own to carry on the family tradition. But when Henry suspects he is being haunted by his father’s ghost, he must lay the past to rest, even if it means digging up his father’s grave to return what has been taken - his identity. Ephraim Rodriguez grew up a military brat. He lived in Maine at the age of seven. He has a wife and four kids; two boys, one girl and one whose gender has not yet been revealed. He attends an American Eastern Orthodox Parish. If you follow this blog you know that I read a bit of everything, and this book was one that I did not know whether I would like at first but as I read it I was pleased to find it well written and filled with string characters. The author writes in a straight forward manner and allows you to know right up front what you are getting yourself into as you are reading the story. That being said though the plot is still complex and the attention to detail was exquisite. One of the things that I liked about this book though were the characters that are introduced as they are real people that you can relate to and the author does a fine job at doing just that. In the end, this book was strong and the story that it shares is one that all should read, you will be drawn in and will not be expecting what is coming as you get to the end of this great tale.